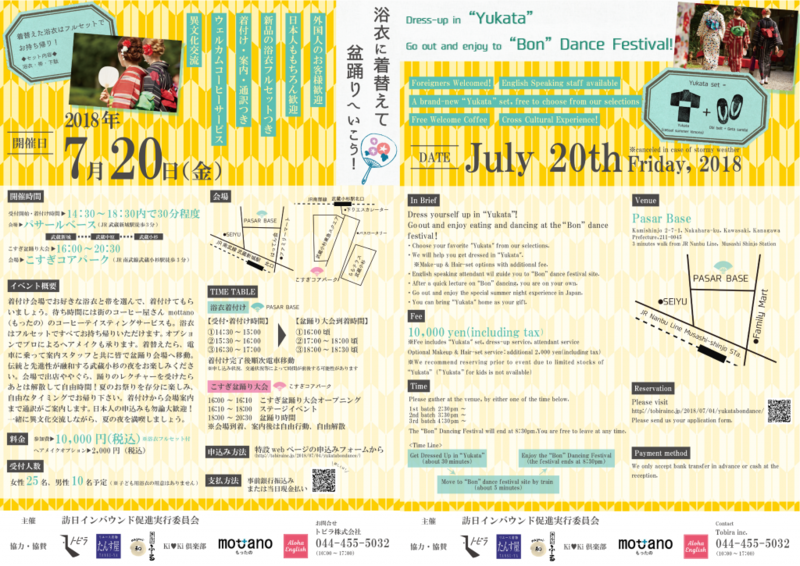 Go out and enjoy to “Bon” Dance Festival! Dress yourself up in “Yukata”! Goout and enjoy eating and dancing at the “Bon” dance festival! ・Choose your favorite “Yukata” from our selections. ・We will help you get dressed in “Yukata”. ※Make-up & Hair-set options with additional fee. 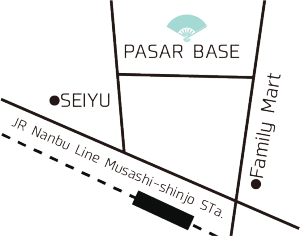 ・English speaking attendant wil guide you to “Bon” dance festival site. ・After a quick lecture on “Bon” dancing, you are on your own. ・Go out and enjoy the special summer night experience in Japan. ・You can bring “Yukata” home as your gift. 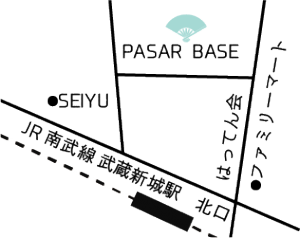 Please gather at the venue, by either one of the time below. 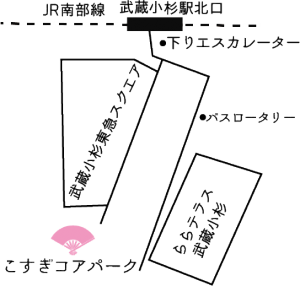 The “Bon” Dancing Festival will end at 8:30pm. Please send us your application form. We only accept bank transfer in advance or cash at the reception.